09.10.2017 | CAD/CAM manufacturer OPEN MIND Technologies AG is pleased with its successful showing at the EMO metalworking trade fair. 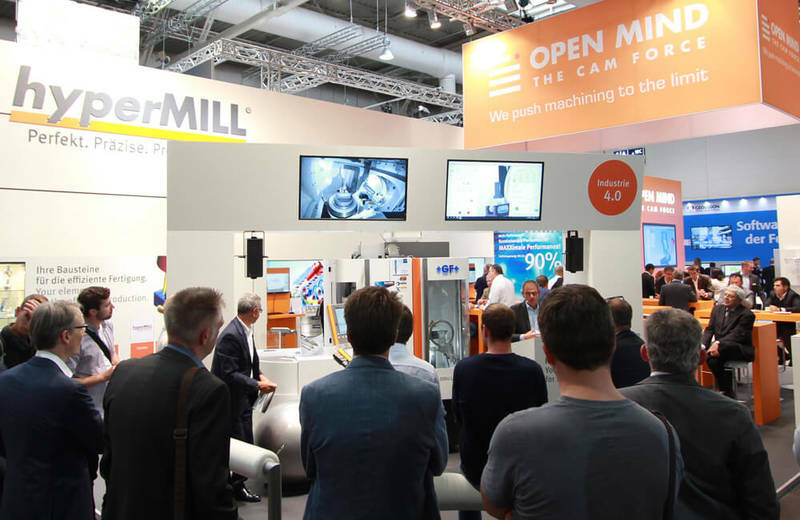 At its stand, OPEN MIND was able to answer trade fair attendees’ numerous questions about specific production requirements in innovative, persuasive ways using the many new functions of Version 2018.1 of the hyperMILL® CAD/CAM suite. The topics of Industry 4.0 and the smart factory also dominated conversations at the booth. In keeping with these trends, OPEN MIND demonstrated a key component for implementing smart production concepts: the NC code-based hyperMILL® VIRTUAL Machining machine simulation. Precise machine simulations provide protection against collisions and also enable reliable optimization of production processes, even before the first chip flies. This is important for many users, particularly when it comes to complex 5-axis machining. 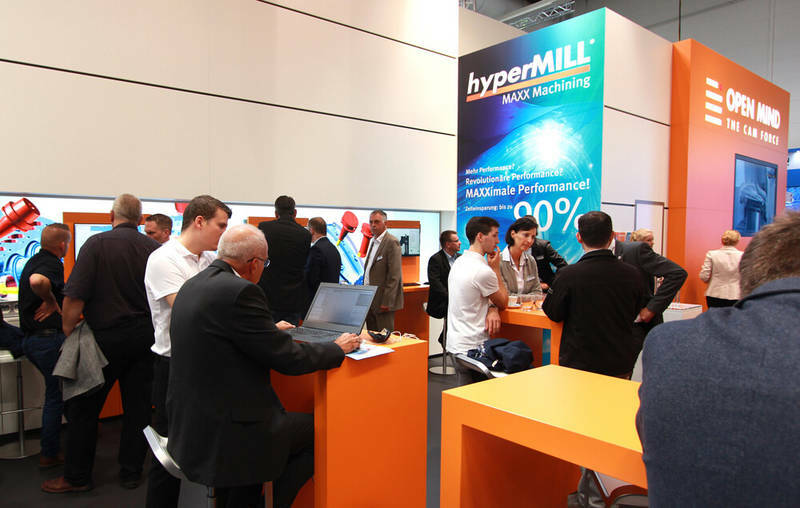 Accordingly, hyperMILL® VIRTUAL Machining was met with a positive reception, as it uses the NC code as a basis for simulation following the postprocessor run. As a result, the virtual machine movements correspond exactly to the real machine movements. The solution also allows for a range of interesting analyzes to be made. Moreover, during the transfer of the program optimized in the simulation onto the machine, an automatic comparison is carried out with the current machine settings and equipment. Spectators watching the live demo at EMO were visibly impressed by the extent to which the machine and hyperMILL® VIRTUAL Machining integrate with one another. Live demos were also held to highlight the particularly efficient strategies in the hyperMILL® MAXX Machining performance package. These cut down on time, a benefit that never ceases to impress. That wasn’t the only impressive demonstration. 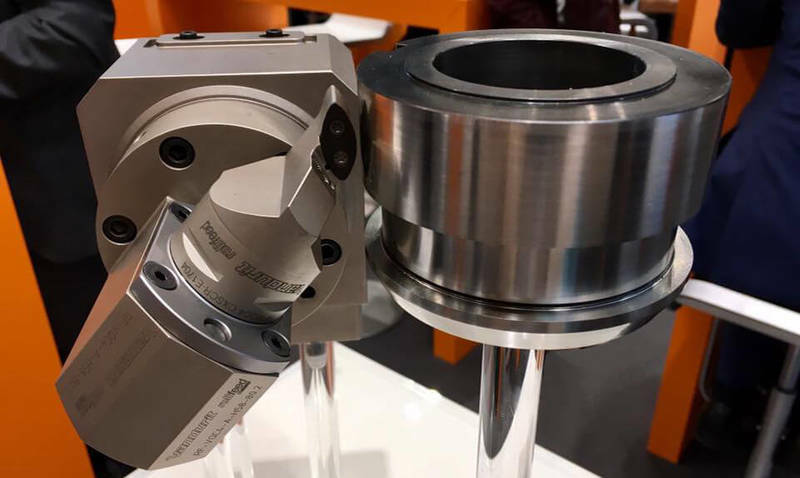 The tool manufacturer Vandurit has developed the rollFEED® turning method, and OPEN MIND is providing an exclusive hyperMILL®CAM strategy to match this method. Thanks to this collaboration, there is now a new solution for CNC turning that offers maximum process reliability. It also significantly reduces machining times and tool wear. 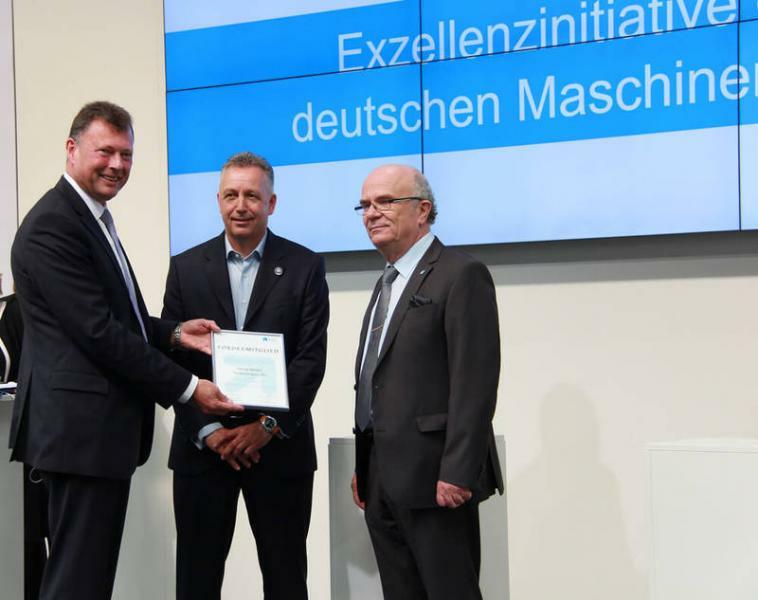 During EMO, OPEN MIND CEO Volker Nesenhöner was presented with a certificate of sponsoring membership in the Nachwuchsstiftung Maschinenbau by Peter Bole and Dr. Jan Braasch, who are the Director and Chairman of the Supervisory Board of the Nachwuchsstiftung Maschinenbau, respectively. OPEN MIND took part in the Young Talents Special Display, which received a large number of visitors.